Most business owners either don't know where to begin when it comes to digital marketing (don't worry we get it), or they are already "marketing" but not seeing much gain from it. Either way, the resources below can change all that. If you're just getting started, complete these workbooks and you will already be ahead of the majority of business owners out there. If you are already marketing but not seeing results, these tools are the foundation you need to make your marketing efforts (and the money you put into them) worthwhile. When people know your story, you don’t have to tell them why you do what you do. They understand with their gut. In the words of Simon Sinek, "people don't buy what you do, they buy why you do it." 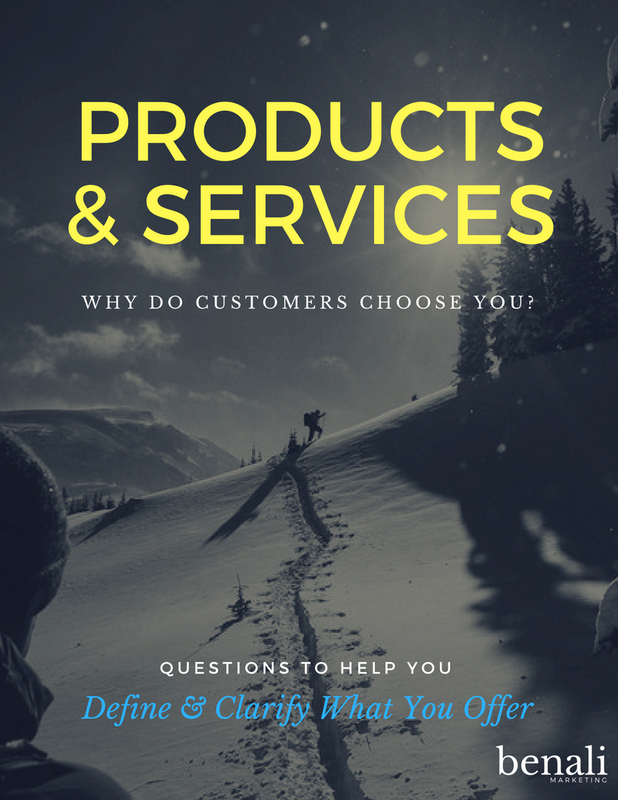 This free workbook helps you to clearly communicate your why so potential customers can easily identify with it. You already have a voice, whether you recognize it or not. It’s not the actual sounds you make, but the tone of your communications. The idea of a customer persona is to focus in on who we’re really trying to reach as a company. Instead of trying to reach “customers”, we want to give our customers a very specific identity. This free workbook helps you identify your buyer persona so that when it comes to marketing, you'll know exactly how to reach your target audience and what to say that will make them choose you over competitors. For each of the products and services we offer, it is important that we are able to clearly communicate why, how, and what we are offering (specifically in that order). This free workbook helps you explain your services with purpose, meaning, and values that go deeper than logical explanations so you can connect with your target market instantly. Stumped by these questions? We want to help.